An engagement is a very special occasion. People want jewellery to celebrate this. For many couples, an engagement ring is a symbol of their intended commitment. 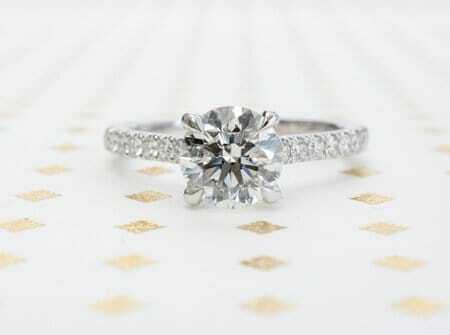 Finding the right engagement ring is a must. Today’s couples have many options to pick from when it comes to finding the ideal ring. In general, engagement rings can be divided into those that are pre-designed and those the couple designs themselves. Each type of design has both pluses and minuses. The right choice for each couple will depend on many factors, including their personal style and whether or not the type of engagement ring they are looking for has been created or not. Many times, couples will choose the custom route when they have a specific idea in mind or like various styles of two or more rings they want to incorporate into one piece. A beautifully designed custom ring has many advantages for the engaged couple. Just like each couple, a custom designed ring is entirely unique. Many couples relish the thought of a uniquely theirs piece of jewellery. A ring that is custom designed is one that shows extra thought has been put into it. Many women love getting a ring that shows their fiancee took the time to create a personalized design solely for her. Many custom designed engagement rings require special craftsmanship. A ring may require the use of metals or gemstones not typically used, careful placement of varied metals and techniques that come from long years of study and practice. 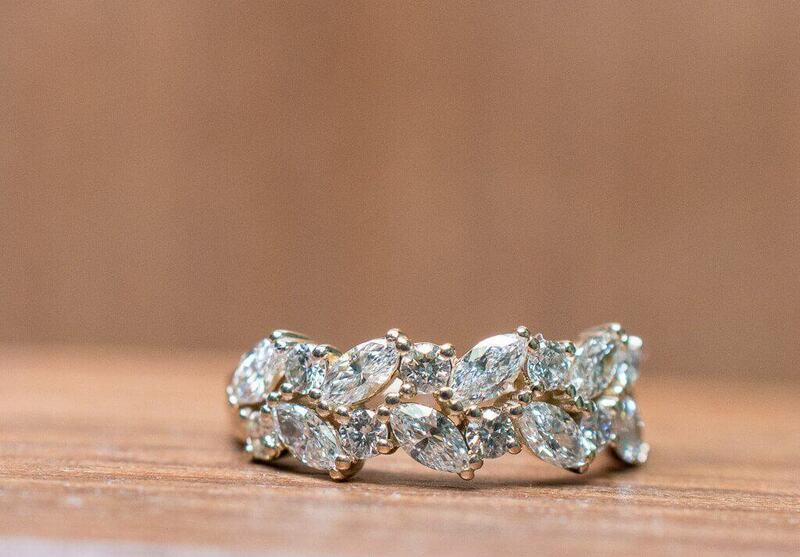 This makes each custom designed engagement ring a demonstration of the beauty and the power of tradition. A pre-designed ring can also be a wonderful thing. Many engaged couples are very happy with their rings. For couples on a budget, a pre-designed ring is often an ideal compromise that allows them to get a beautiful ring. Many couples find standard designs highly appealing. Designs that stand the test of time will likely still look great many years from now. Unlike a custom designed ring, a pre-designed ring can be purchased quickly. A custom ring may take upwards of a month or longer to be made. For the man who wants to propose quickly and needs a ring, a pre-designed ring is an ideal choice. A man can purchase the ring the same day, and then present it to his intended bride that very evening. When attempting to create a personal ring that is custom designed, the choices can feel overwhelming. Many couples aren’t sure where to begin. Even someone with a background in design may not know how to design something that will be aesthetically pleasing. Each couple should carefully consider the type of rings they want when planning a purchase. For some, this is a highly detailed ring with lots of personal meaning that may take a while to finally complete. For others, a classic engagement ring in a simple, standard style is ideal for their personal plans. There is no wrong answer. Go with what your heart tells you and you will have no regrets or second thoughts; a lifetime of memories lay ahead.